Wisdom of Life. 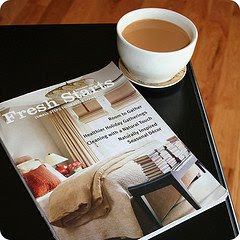 : Start the day with a cup of tea. Myself and little darling are tea drinkers. Without a good cup of tea in the morning, we will just feel lousy for the whole day. Yesterday was a bad one because we were served tea without enough 'love' added. There was no hommm in it ! !Though the breakfast was taken, we never felt happier after that. Tea isn't like beer which could be taken more. The most we could drink are three or two cups of tea or coffee per day. A good tea should be served hot with ceramic cup and spoon. The tea leaves have to be chosen right of good quality, colour and taste. Most importantly the passion of serving tea must be there. The most ideal person who can make me a nice cup of tea or coffee is my little darling coz she put in a lot of effort in making it. This is what I called LOVE added. Drinking tea has many purposes, including doing business. Its always difficult to secure a business appointment but is easier to invite our contacts for a cup of tea. Over a tea or coffee, I had connected countless business opportunities and sales. Is uncomfortable to meet prospects in their offices or homes but over a cup of tea or coffee outside, I built bridges to reach their hearts. Friends or clients might be unhappy with you for some reasons, take them out for a cup of tea or coffee, magic would happen to make them laugh again. If you like a sweet girl and have intention to court her, the simpliest way to get to know her better...is to invite her for a cup of coffee or tea. Most love and romance starts from there. Without the excuse of a cup of tea, I would not have known my little darling then. For a cost of two dollars only! Like I said, a good cup of tea to start the day and another to end the evening of sensational boat rocking. My little darling always asked, "tea, coffee or me?" Not only tea, but for the every little moments spend so that all the memories can be worth calling "Love". I like the way you express it...keep on writing...I am one of the group of people who read ur blog daily. You were not happy the other day because you missed the 1st breakfast? Without you and many who constantly read my blog, I don't think I could write this far. To write for a moment is easy but to write everyday needs inspiration and motivation. I got them from you my dear. Thank you so much. I think you are right coz little darling missed that 1st breakfast for me. Have to remind her. Thank you for reminding too.